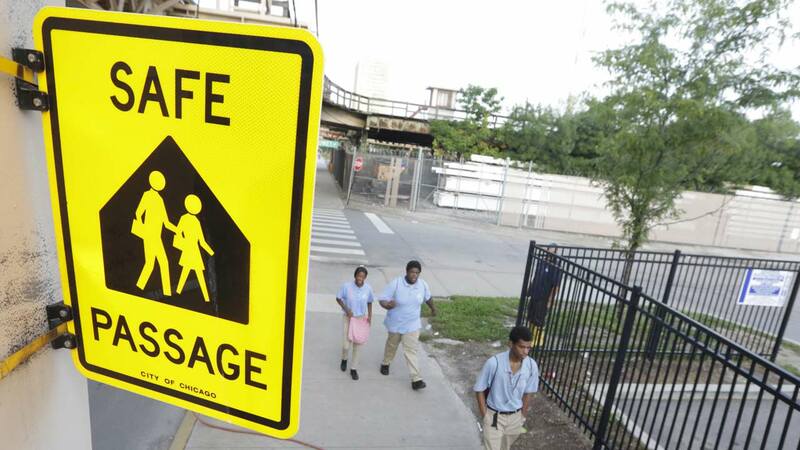 CHICAGO (WLS) -- With Chicago Public School resuming Tuesday two new Safe Passage routes are being added this school year. They will be for students at Dyett School of the Arts and Al Raby High School. Safe Passage workers now monitor student commutes to and from 142 Chicago city schools. The Safe Passage program began in 2009 and deploys 1,300 personnel. "It's our goal to ensure that every child in the city of Chicago can get to the classroom safely on day one of the school year," said CPS CEO Forrest Claypool in a press release. "With added routes this year and continued support by our Safe Passage partners, safety won't be a barrier to student learning,"
For more information on Safe Passage routes, cpd.edu/safepassage.